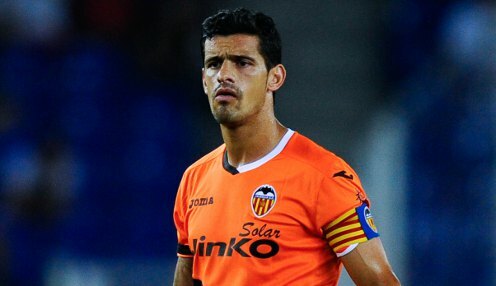 Ricardo Costa will miss the trip to Rayo Vallecano. Valencia coach Juan Antonio Pizzi expects his side to take all three points at Rayo Vallecano regardless of their injury concerns. Los Che travel to the Campo de Fútbol de Vallecas on Sunday evening and can be backed at 1/1 to secure the win, although they have a number of injury concerns. Captain Ricardo Costa is missing after picking up a knock in the 0-0 draw with Dynamo Kiev on Thursday as the Spanish side moved into the last 16 of the Europa League. Valencia are also missing Javi Fuego, Pablo Piatti and Oriel Romeu, as well as the suspended Dani Parejo, but Pizzi remains confident they can pick up maximum points against Rayo Vallecano, who are 19th in the La Liga table and five points adrift of safety. "If we are to keep aspiring to challenge at the top we have to deal with having players missing and we need to keep fighting against our opponents regardless," said Pizzi. Pizzi also stressed he would not allow his players to underestimate Sunday's opponents, despite their struggles this season. "We will show them the same respect as we do to any other team," he said. "I don't consider any game to be easy or that we have won or lost a game before we have played. "Our dedication and the level of demand we place on ourselves is always the same, the level of respect and consideration is the same for every team." Rayo Vallecano are priced at 1/1 to come out on top and the draw is available at 1/1.